If you’re still lagging behind from the non-timeline times on Facebook, its to shift into gear and update your cover photo with something interesting. 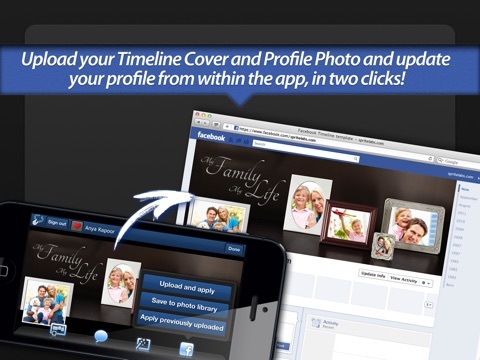 Photo Covers for Facebook is here to help you do just that with a few simple taps. 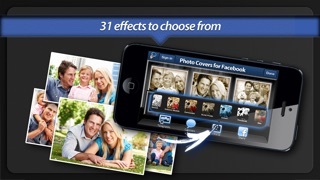 Photo Covers for Facebook is a universal application available for both iPhone and iPad that is designed to make updating your cover photo an extremely easy process. 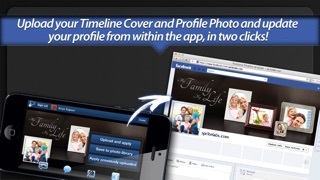 Normally, you have to sit down and figure out which photo would look good stretched across the top of your Facebook profile and then go ahead and change it manually via your web browser, or more recently, through the iOS app. However, if you want to, for example, combine your display photo with your timeline photo to create a seamless collage, it would take many painfully slow attempts to get it right. 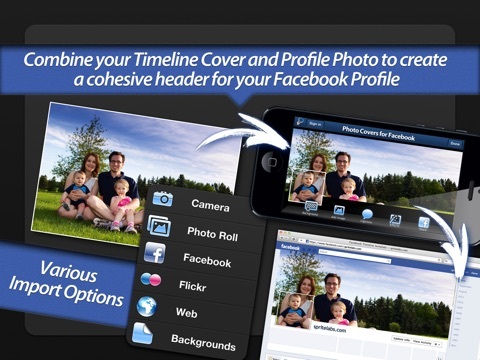 Photo Covers for Facebook solves all of these issues and gives you the ability to easily create photos for both your display photo and your cover photo. 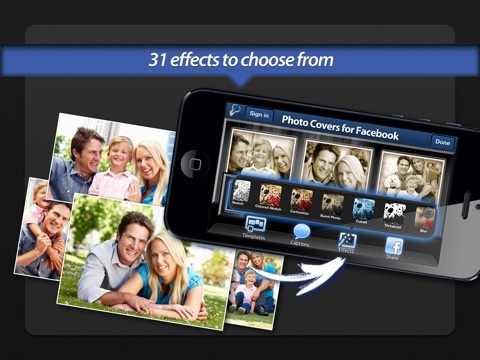 You can add effects, rotate and scale the photos in a template setup to make your collage. 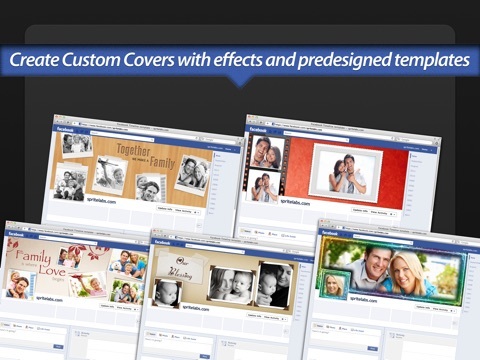 There are plenty of templates to choose from and you can even construct your cover photos from several photos in your albums. 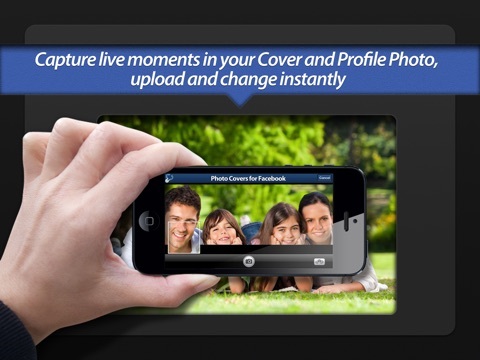 With a few taps, you can have both your cover and display photo ready for upload. Once finished, the final product would have taken just a few minutes. 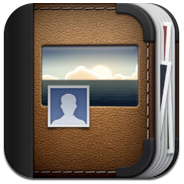 Overall, Photo Covers for Facebook is extremely easy to use and does what its supposed to. The only complaint I have is that if by mistake you deny permissions to your facebook account, you will have to reinstall the application in order for it to work again. I kept receiving a popup with no message and a single “OK” button. Other than a slight glitch, Photo Covers for Facebook is a great way to turn a plain old cover photo into something worth looking at. 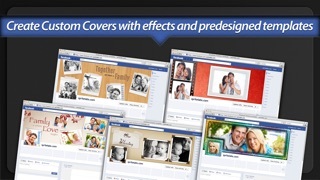 While a little pricy at $2, Photo Covers for Facebook does offer some value if you’re constantly changing your display / cover photos. 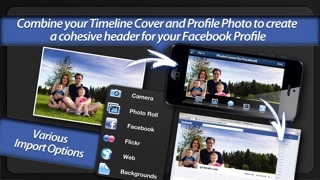 Check out Photo Covers for Facebook for iOS on the App Store!